Dermatochalasia is a condition characterized by excessive skin of the upper & lower eyelids and can be corrected with eyelid surgery, also known as blepharoplasty. The loss of elasticity that causes this “sagging” skin is typically a result of heredity, the size & shape of your eyes, as well as proliferating sun damage. 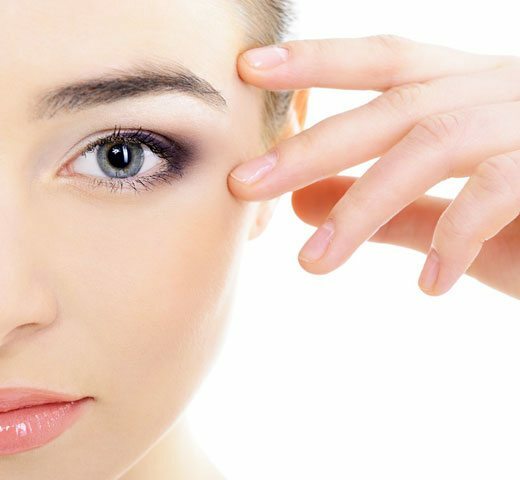 Upon consultation, we will recommend the specific type of eyelid surgery that is appropriate for you. All blepharoplasty procedures are performed in the surgical suite of our Charlotte, NC office and take approximately 1-2 hours. At DLVSC, we perform two types of blepharoplasty procedures: transcutaneous (upper eyelid excess skin removal) and transconjunctival/TCJ (lower eyelid “bags”/fat pad removal). If a patient has prominent fat pads as well as excessive skin of the lower eyelids, we often perform a “skin pinch” to remove the extra skin.